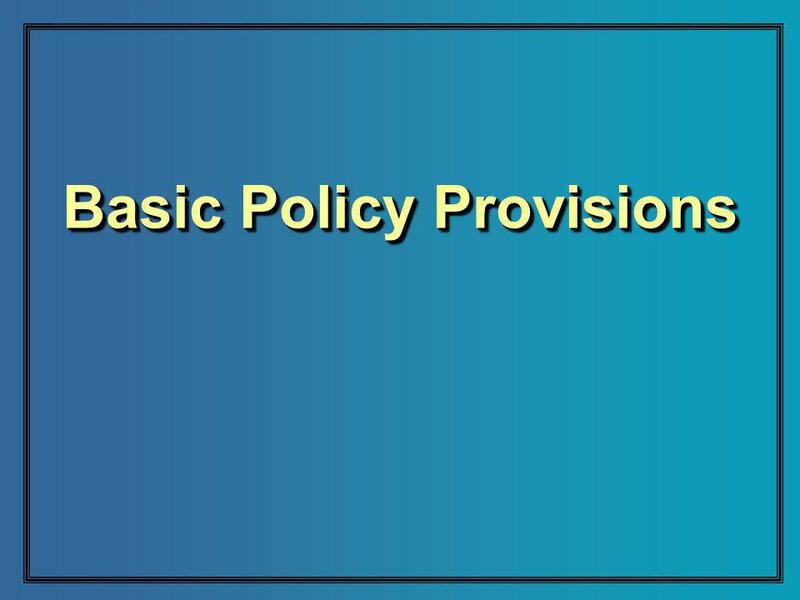 1 Product Provisions Source Brokerage, Inc.
3 Three Occupation Definitions OWN OCCUPATION – Unable to engage in own occupation. 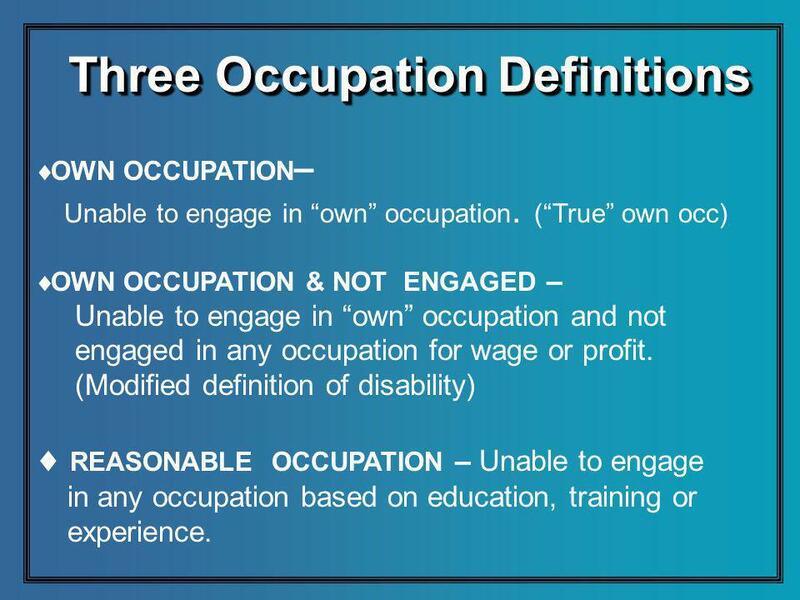 (True own occ) OWN OCCUPATION & NOT ENGAGED – Unable to engage in own occupation and not engaged in any occupation for wage or profit. 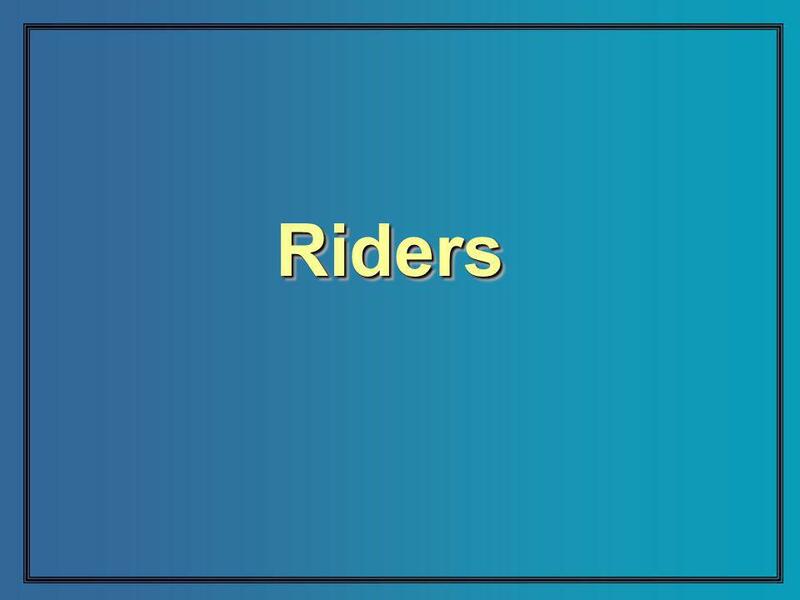 (Modified definition of disability) REASONABLE OCCUPATION – Unable to engage in any occupation based on education, training or experience. 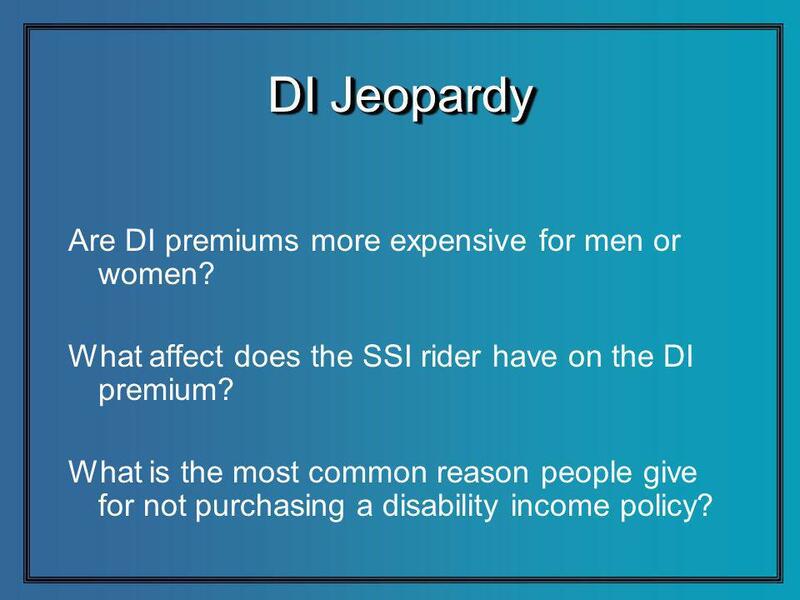 8 DI Jeopardy How long does the average disability last? 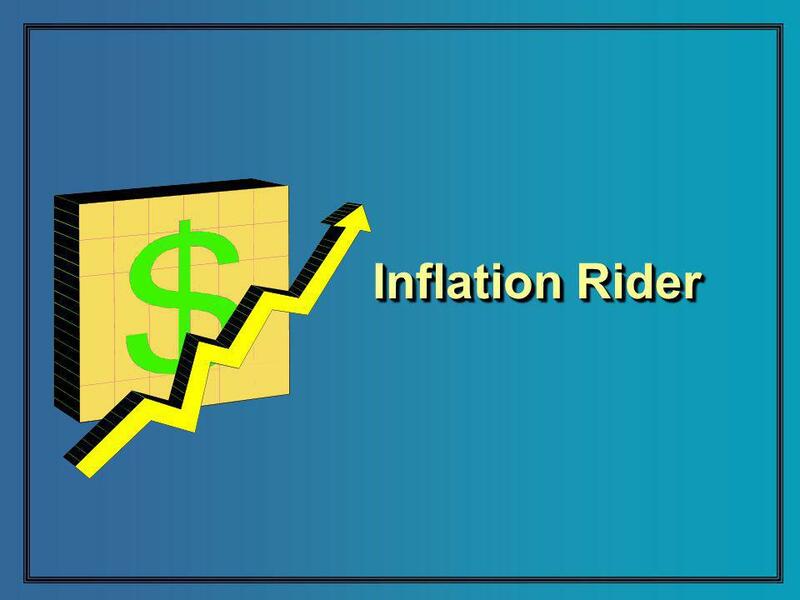 What is the most economical elimination period for professional occupations? 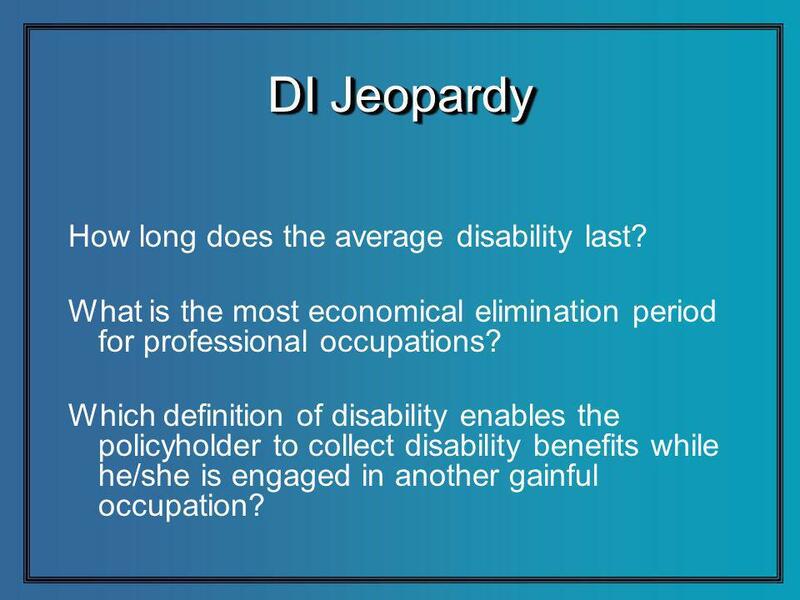 Which definition of disability enables the policyholder to collect disability benefits while he/she is engaged in another gainful occupation? 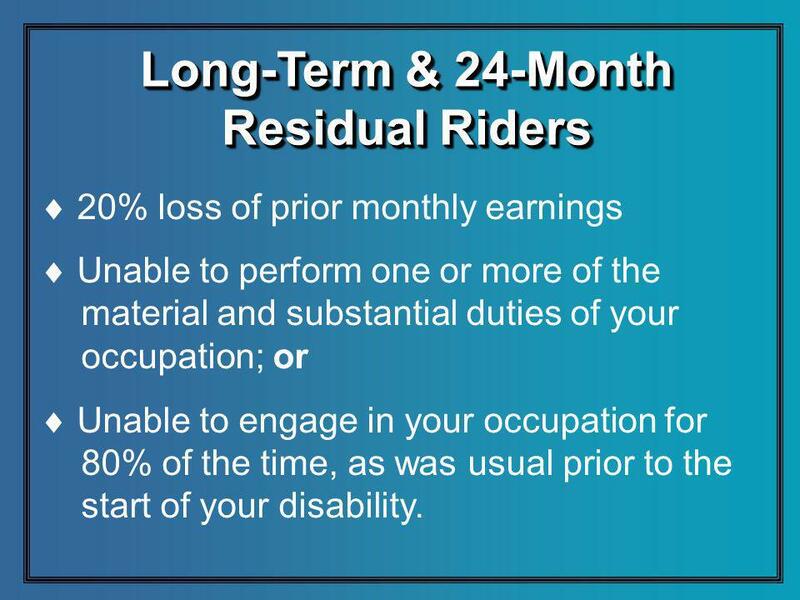 11 Long-Term & 24-Month Residual Riders 20% loss of prior monthly earnings Unable to perform one or more of the material and substantial duties of your occupation; or Unable to engage in your occupation for 80% of the time, as was usual prior to the start of your disability. 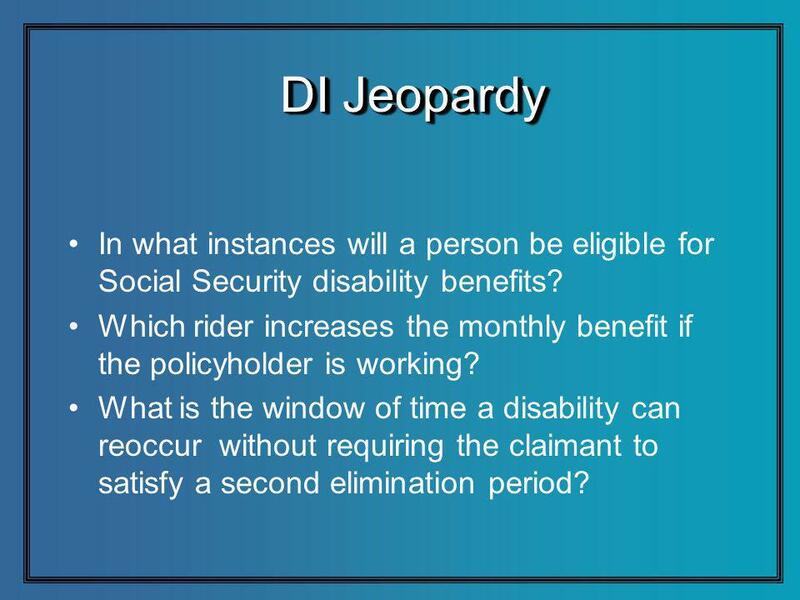 22 DI Jeopardy In what instances will a person be eligible for Social Security disability benefits? 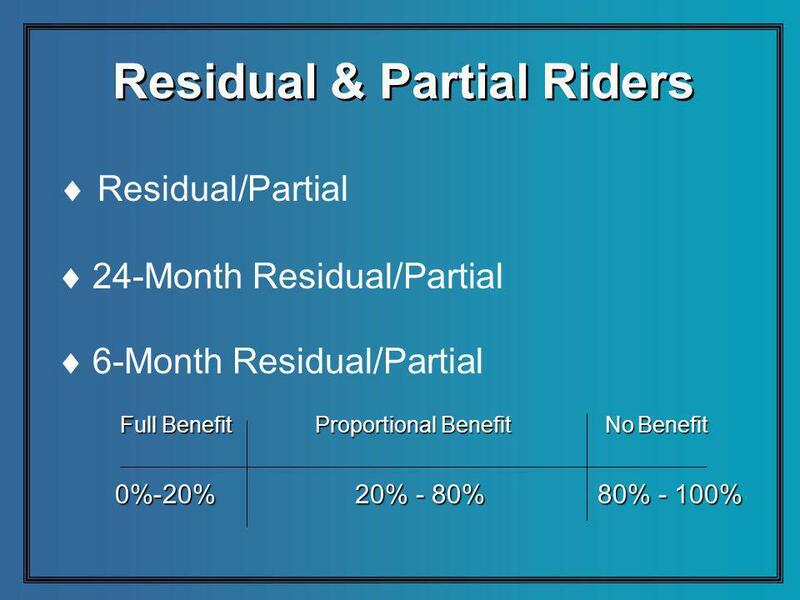 Which rider increases the monthly benefit if the policyholder is working? 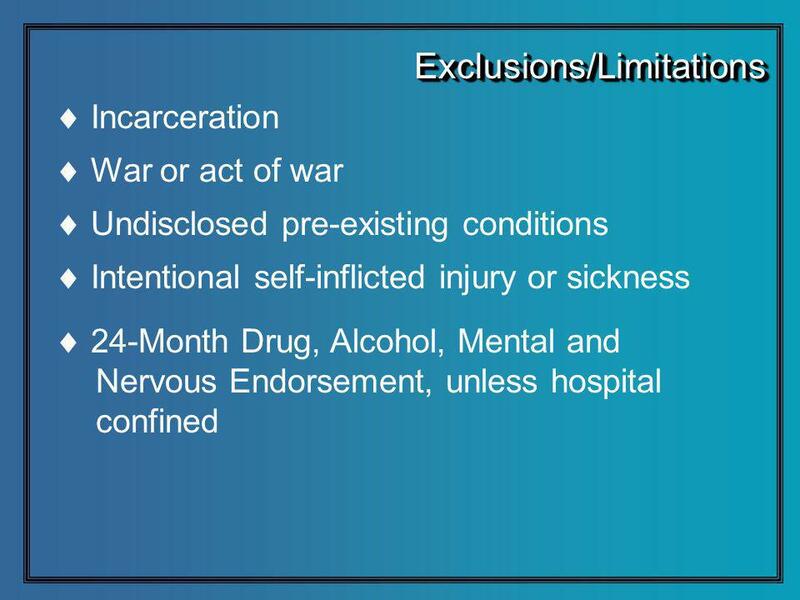 What is the window of time a disability can reoccur without requiring the claimant to satisfy a second elimination period? 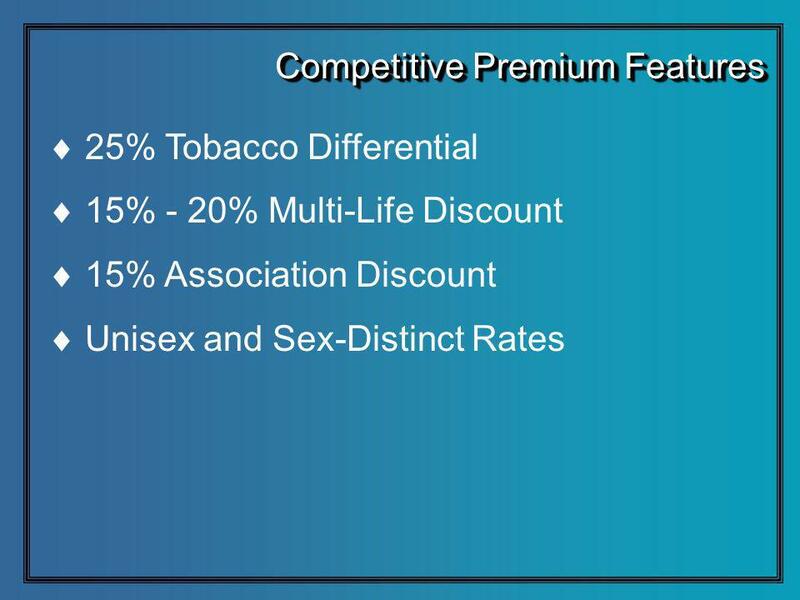 27 DI Jeopardy Are DI premiums more expensive for men or women? 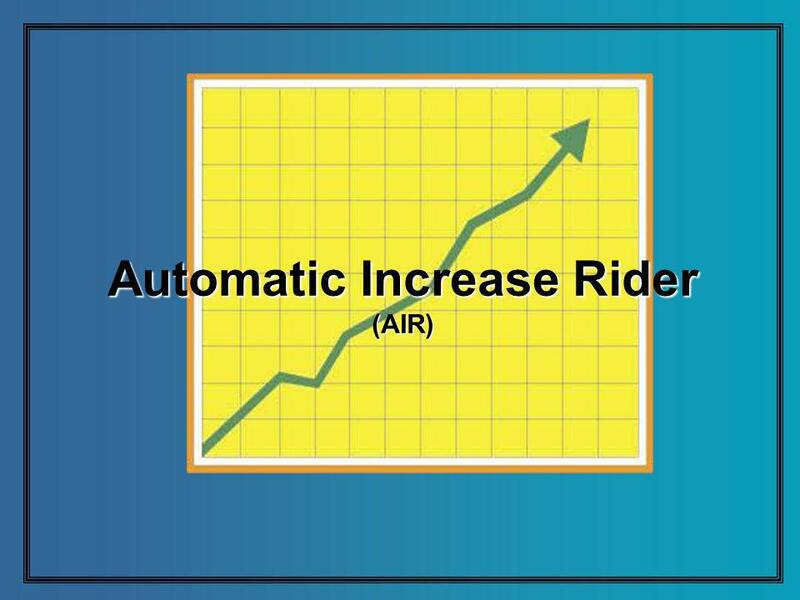 What affect does the SSI rider have on the DI premium? 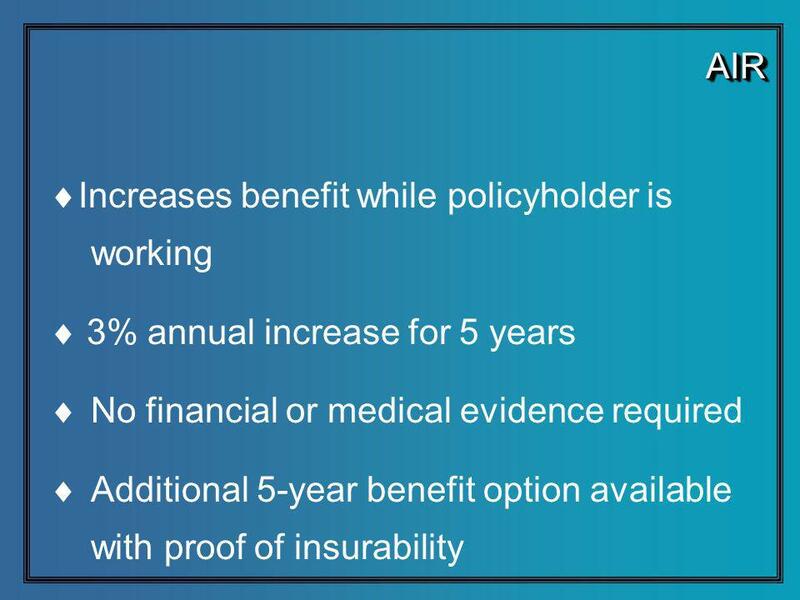 What is the most common reason people give for not purchasing a disability income policy? 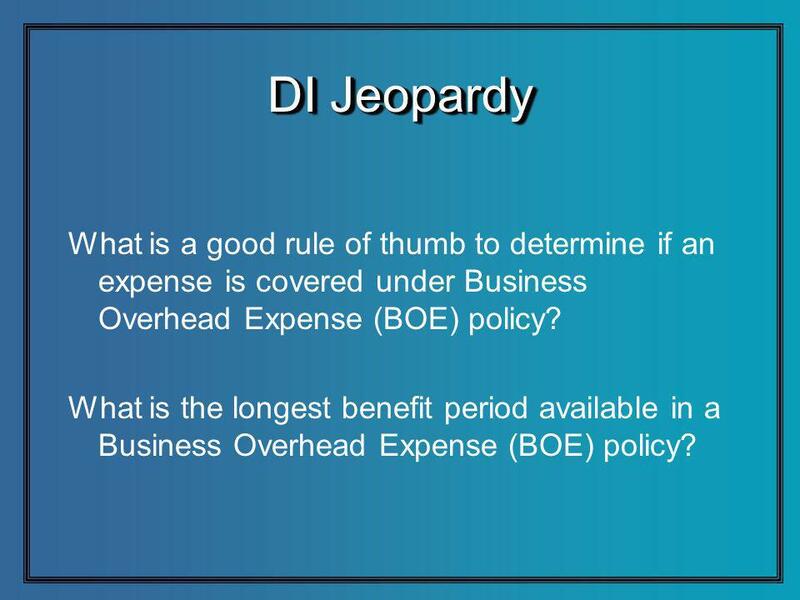 31 DI Jeopardy What is a good rule of thumb to determine if an expense is covered under Business Overhead Expense (BOE) policy? 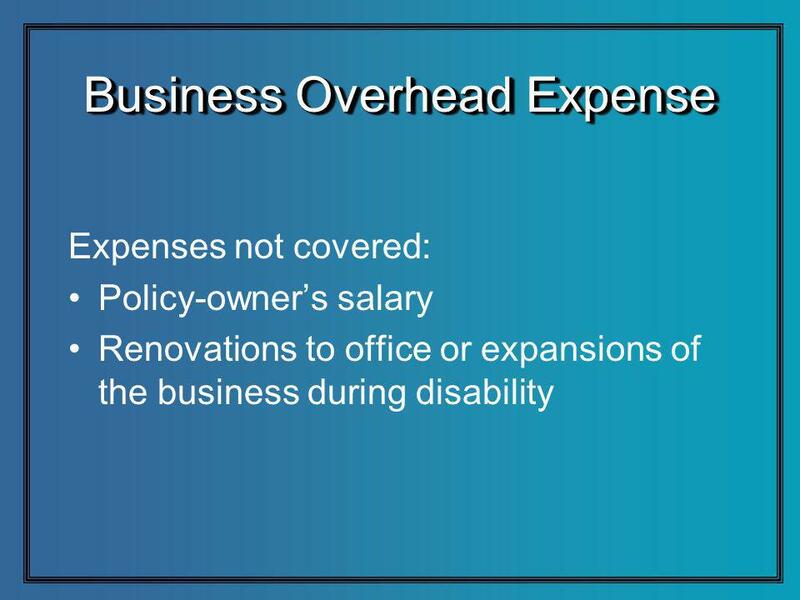 What is the longest benefit period available in a Business Overhead Expense (BOE) policy? 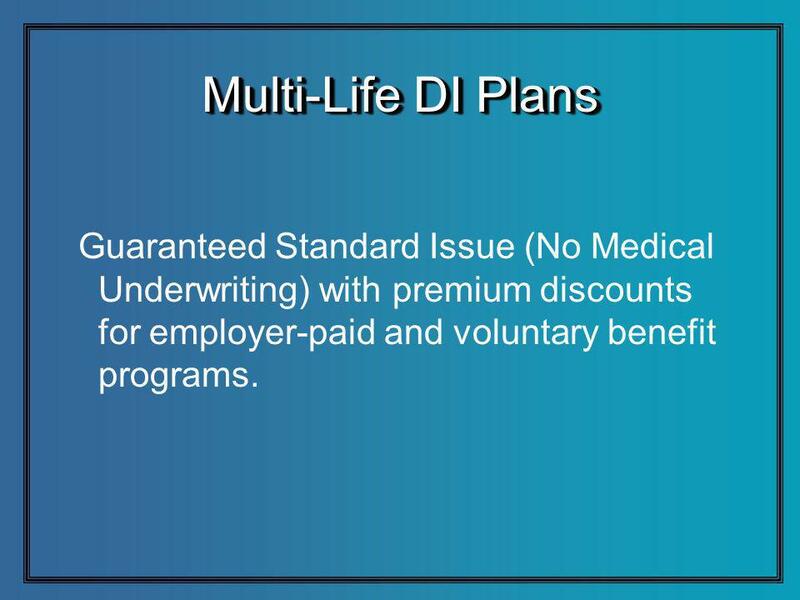 32 Multi-Life DI Plans Guaranteed Standard Issue (No Medical Underwriting) with premium discounts for employer-paid and voluntary benefit programs. 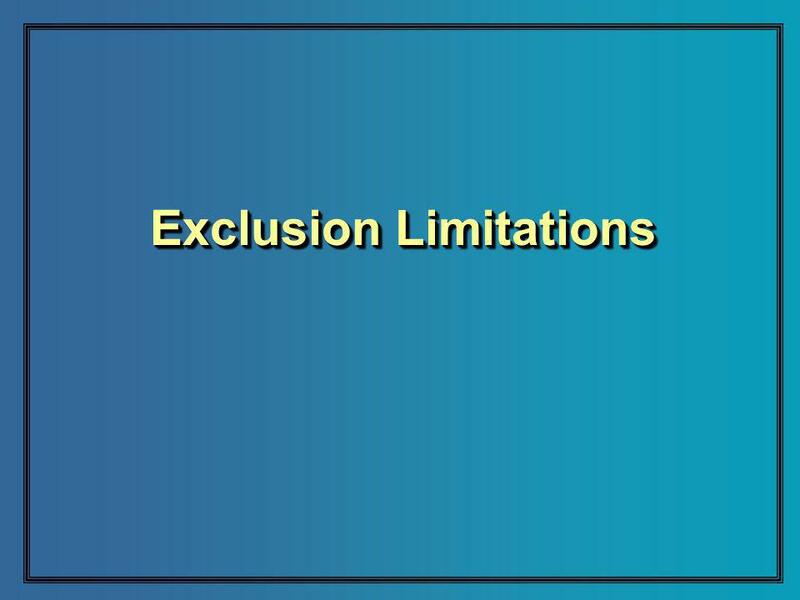 35 Maximum Issue Limits Varies based on the number of participants. 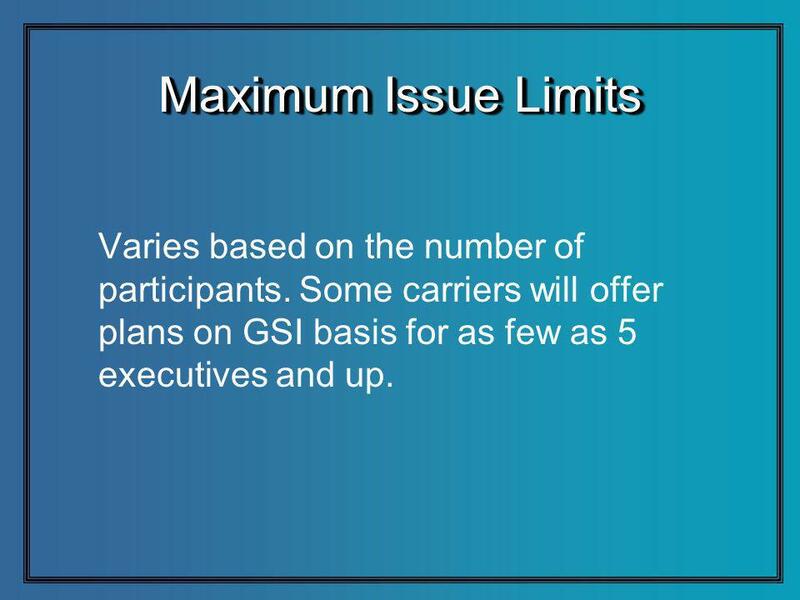 Some carriers will offer plans on GSI basis for as few as 5 executives and up. 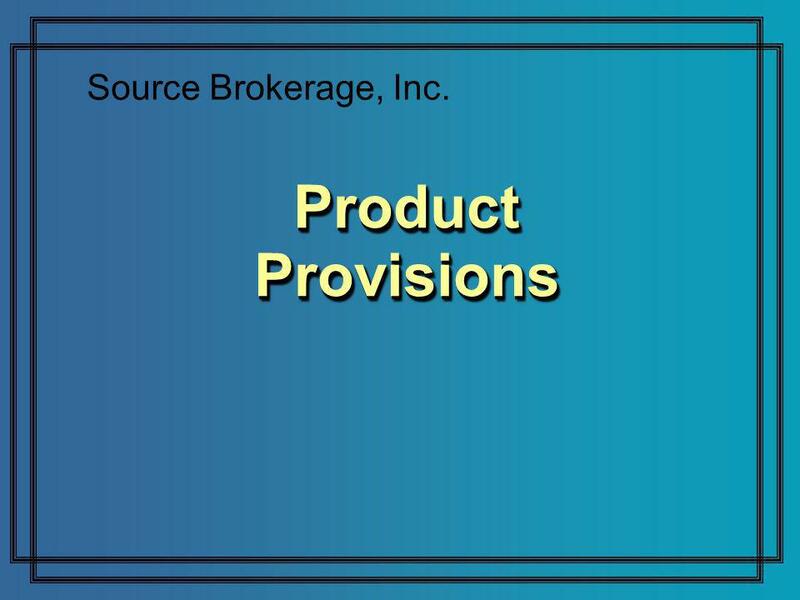 Download ppt "Product Provisions Source Brokerage, Inc.. 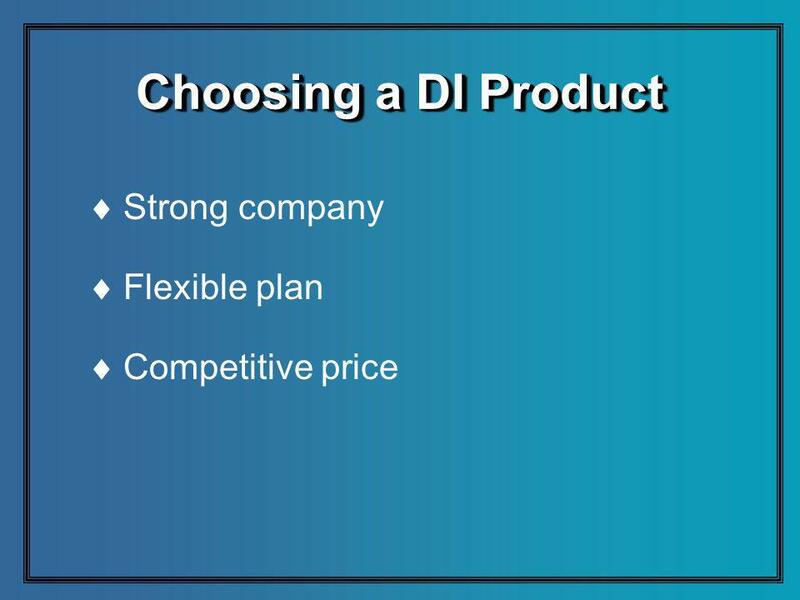 Choosing a DI Product Strong company Flexible plan Competitive price." For Producer Education & Training Purposes Only Disability Income Selling Skills. 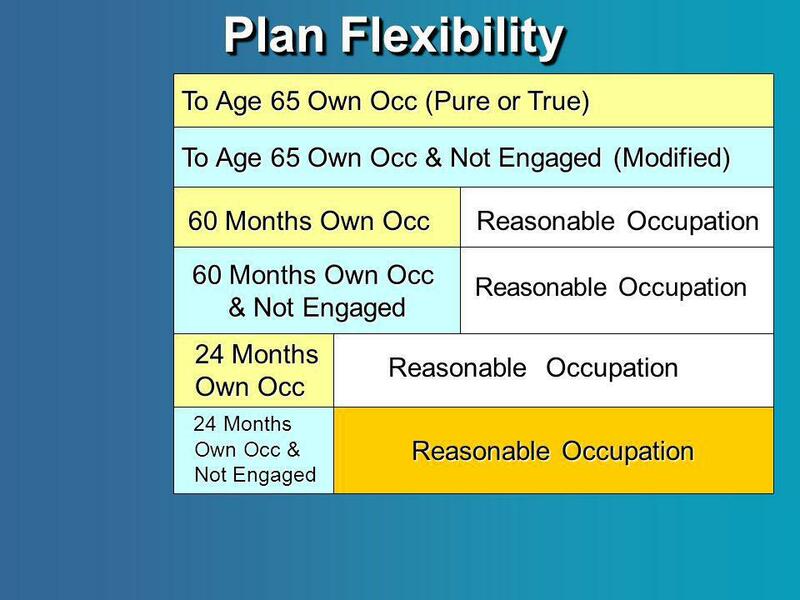 Combination Group and Individual Disability Plans. Complete DI Changing the Market – One Case at a Time! Disability 101 WSCFF Life & Disability Plan Presented by: DiMartino Associates, Inc. Becky Wallen February 11, 2010. 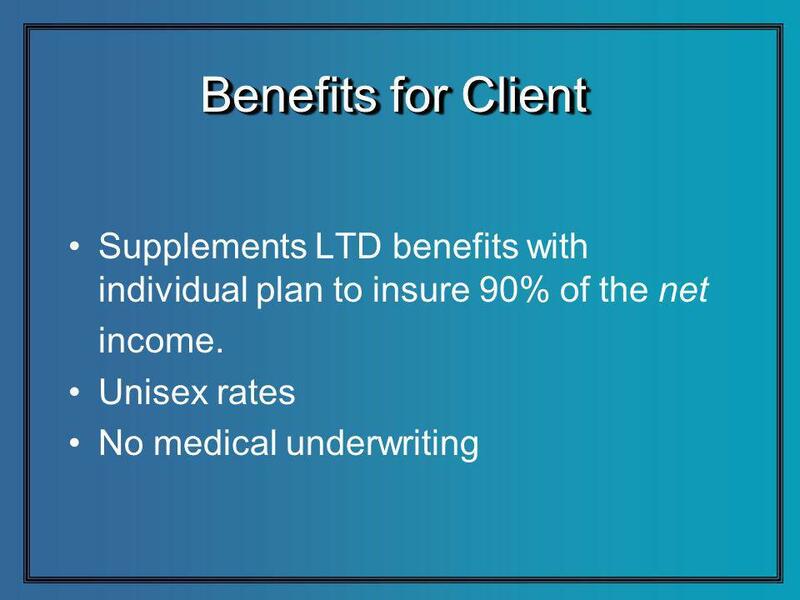 Trans Select 5, 10, 20 SM Group Voluntary Term Life Insurance. 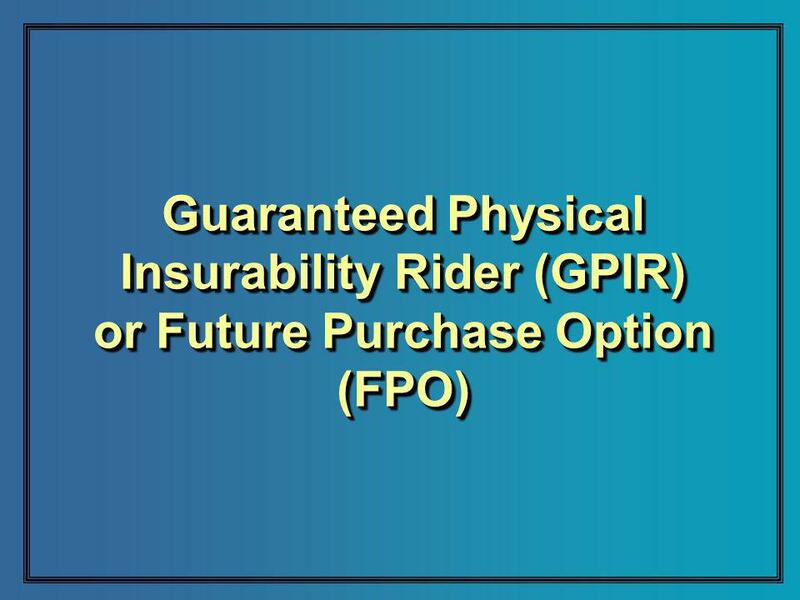 © 2010 Standard Insurance Company Guarantee Issue PPT (Rev 5/14) SI/SNY Guarantee Issue 101 For producer training. Not for use with consumers. 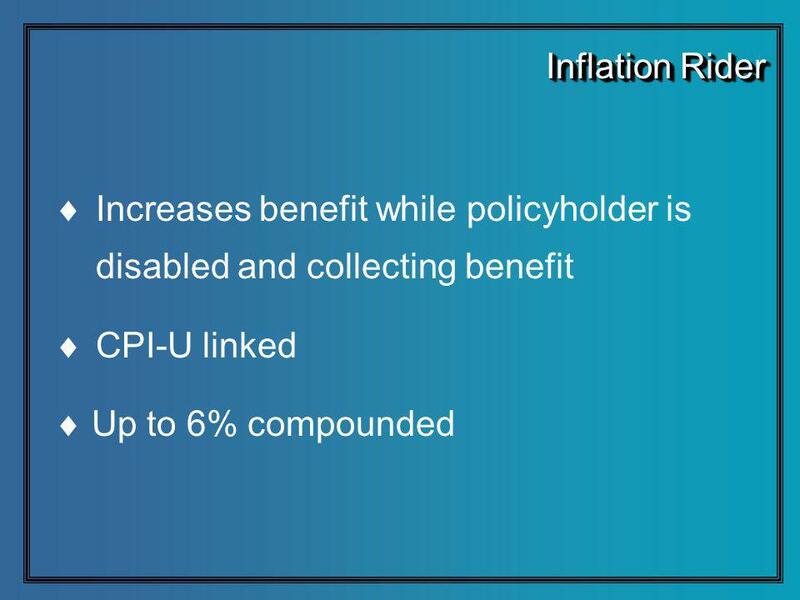 11399PPT (11/09) Individual disability income insurance at The Standard For producer use only. Not for use with consumers. 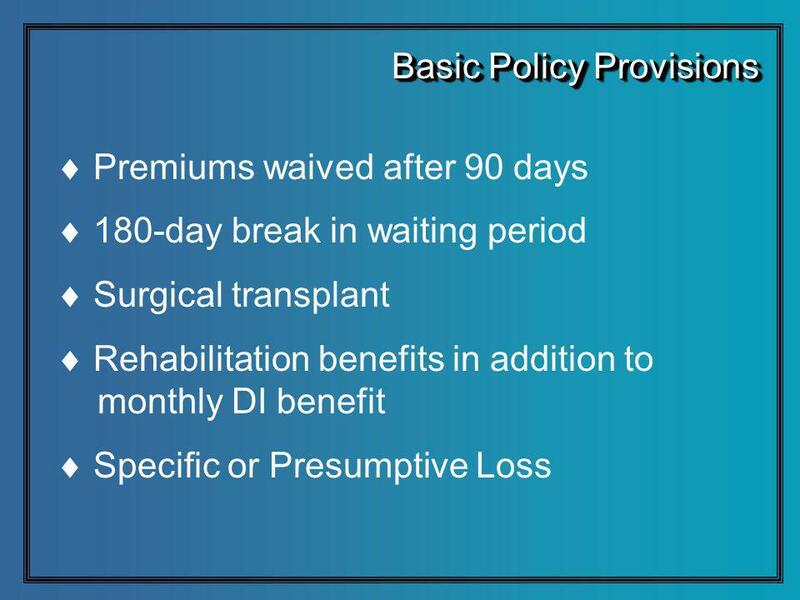 SI 12645PPT (Rev 7/14) Selling Individual Disability Insurance to Small Business Owners For producer use only. Not for use with consumers or in New York. ©2015, College for Financial Planning, all rights reserved. 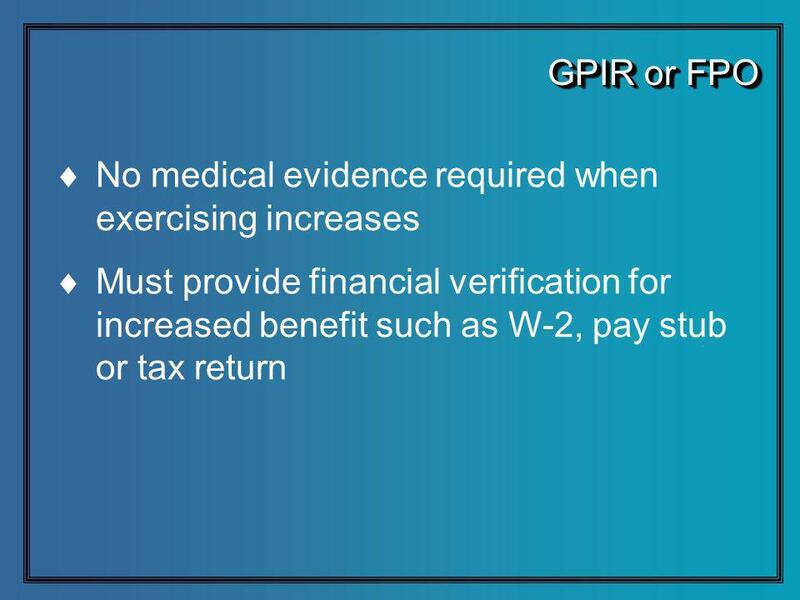 Session 12 Disability Income Insurance CERTIFIED FINANCIAL PLANNER CERTIFICATION PROFESSIONAL. 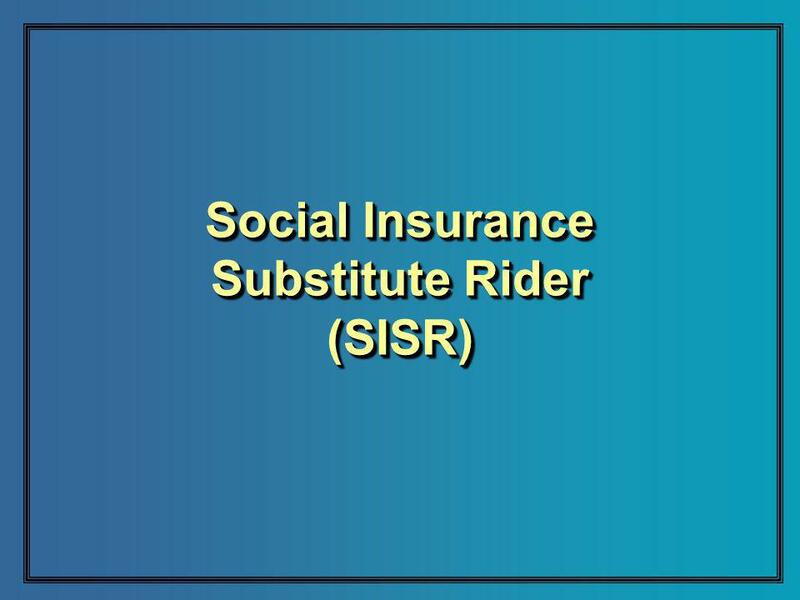 © 2010 Standard Insurance Company Protector Essential SM An option for price-sensitive customers For Producer Use Only. Not For Use With Consumers. Standard. 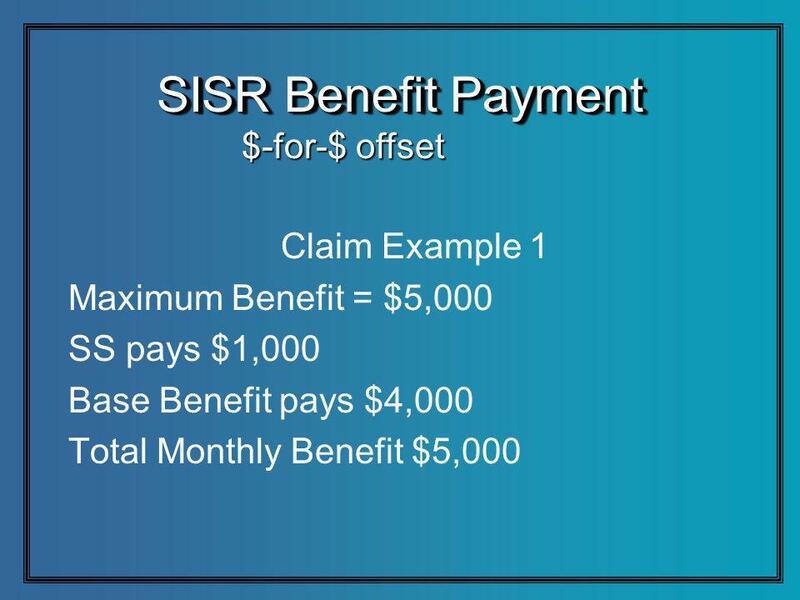 DI Can Protect Your Client’s Paycheck — and Increase Yours Disability Insurance Call Series David Berdow, Corporate Financial Services Keith Hoffman, NFP. 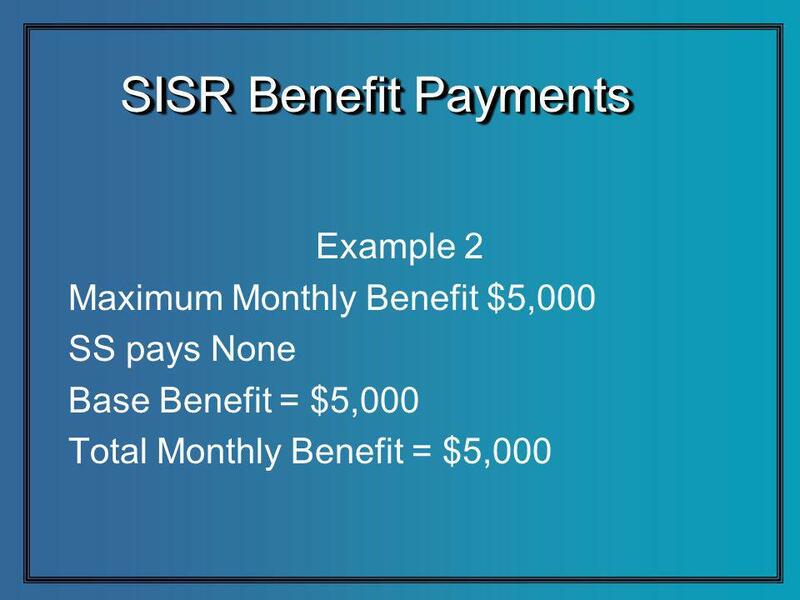 © 2010 Standard Insurance ny SI 16434PPTPROT (Rev 8/14) Imagine Your Income Protected And Safe. 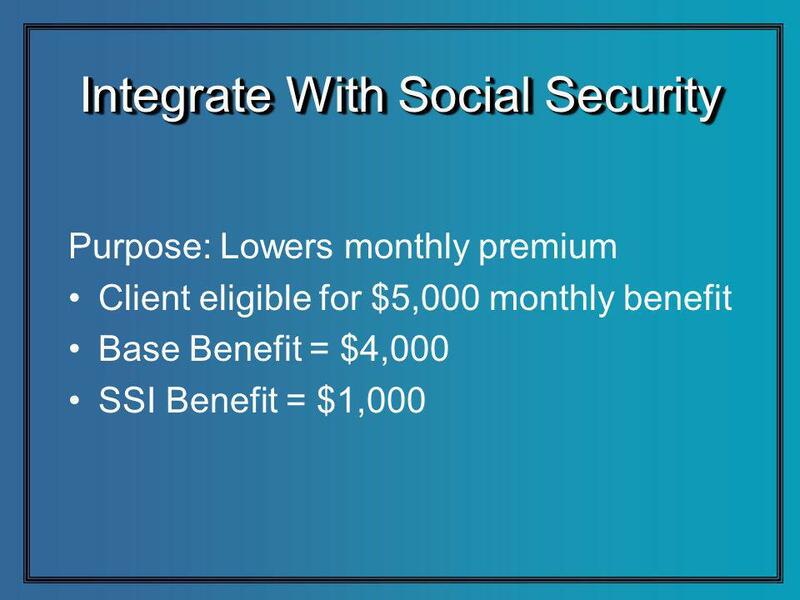 © 2010 Standard Insurance Company SNY 15395PPT Protector Platinum Overview For Producers (Rev 5/14) Protector Platinum SM Individual Disability Income. 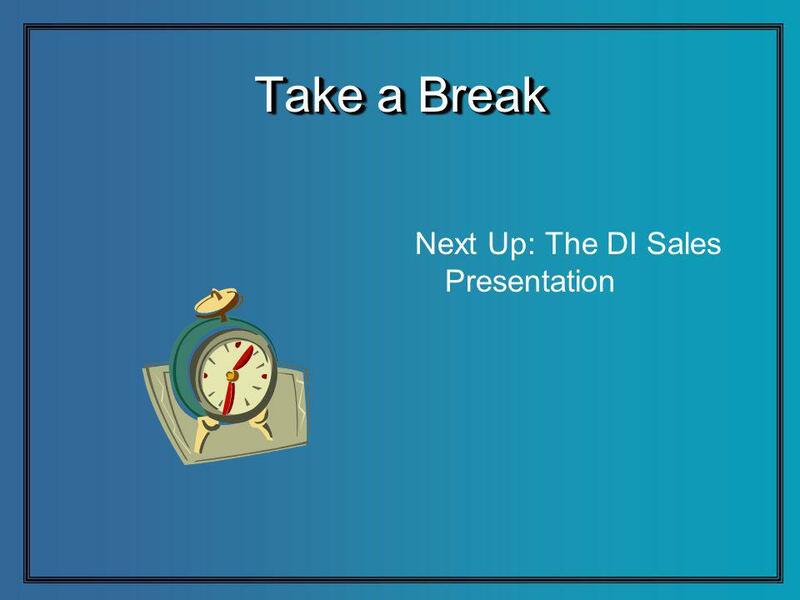 Protect Yourself, Your Business and the People Who Rely on You: DI Strategies for [Business Owners] [Solo or Group Practitioners] Presented by: Your Name. 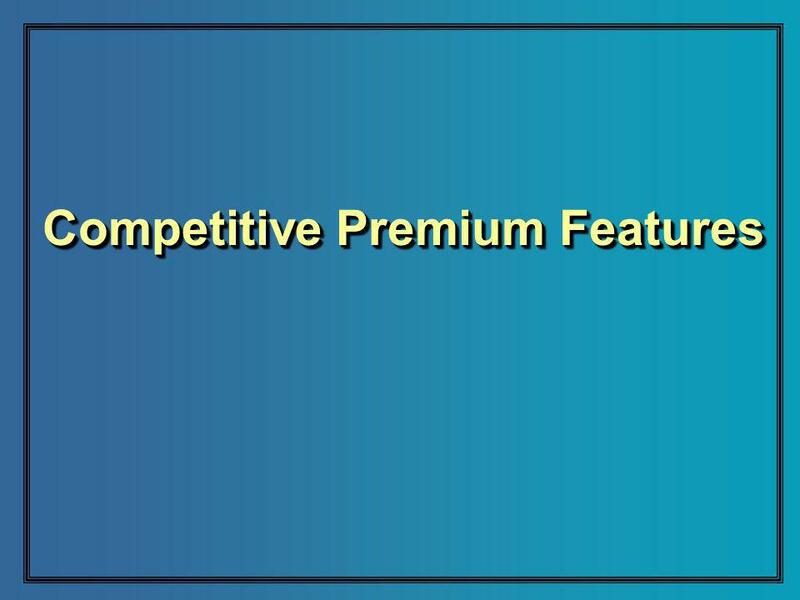 © 2010 Standard Insur SI/SNYe Company Protector Platinum SM GI Overview For Producers 15397PPT (Rev 5/13) SI/SNY Protector Platinum SM Guarantee Issue. 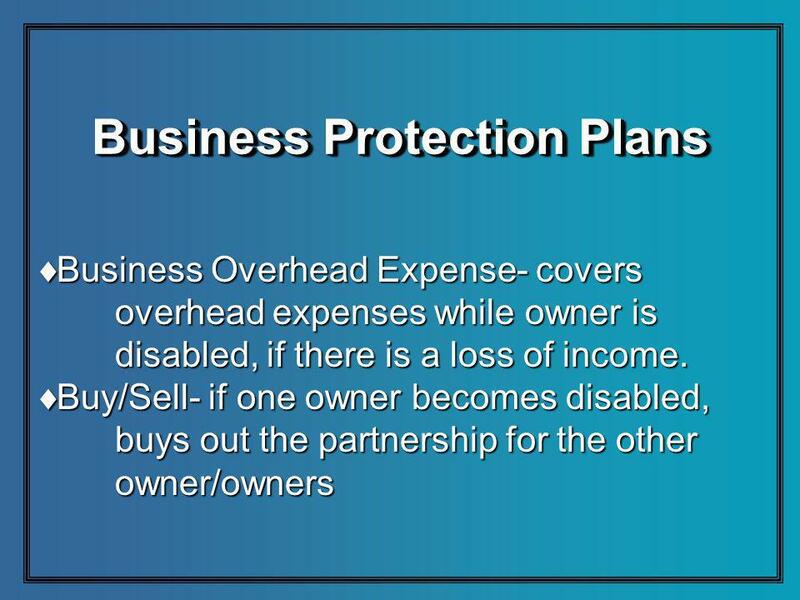 Business ProVider Disability Insurance Products for Business Overhead Expense & Disability Buy-Out A New Standard for Business Protection Disability income. 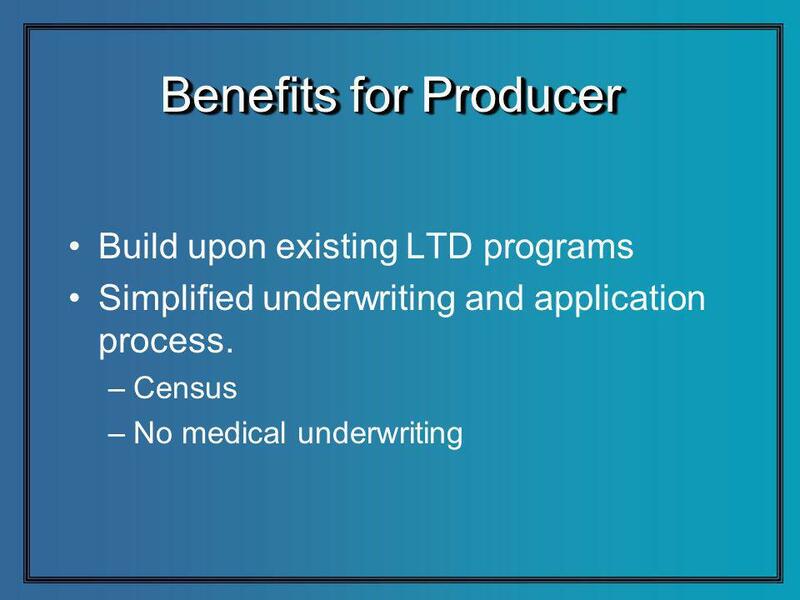 P.1 Applying for IDI is simple again with Old Fashioned Underwriting SM For producer use only. Not for use with consumers. 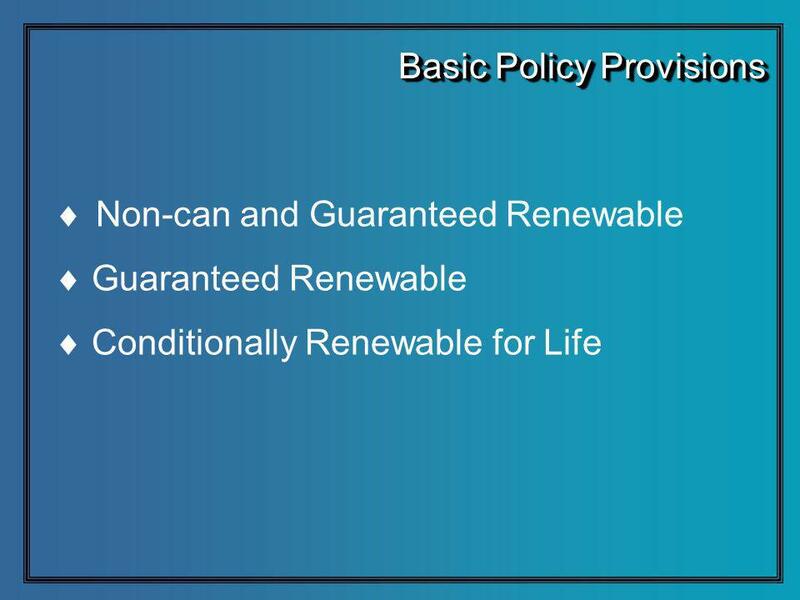 COMPLETE DISABILITY PRODUCT PORTFOLIO. 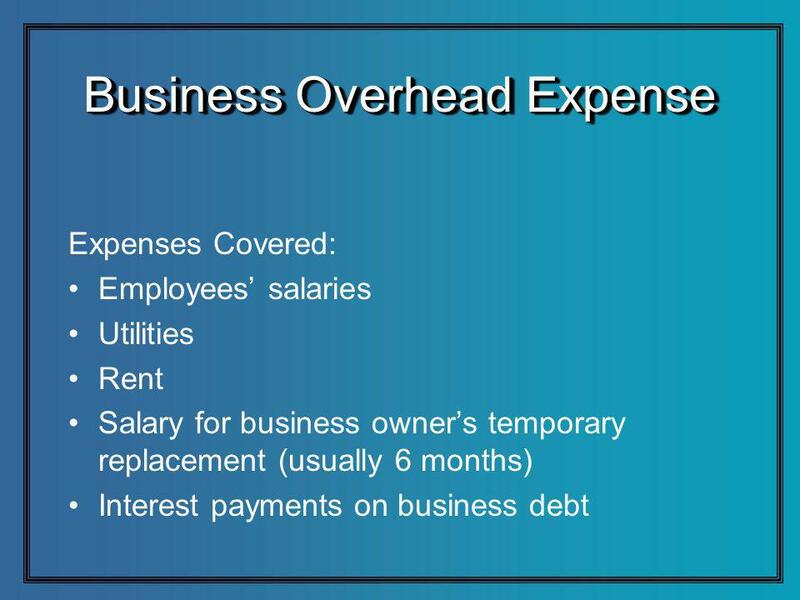 Individual Coverage True “Own Occupation” Definition Business Overhead Expense Buy-Sell.